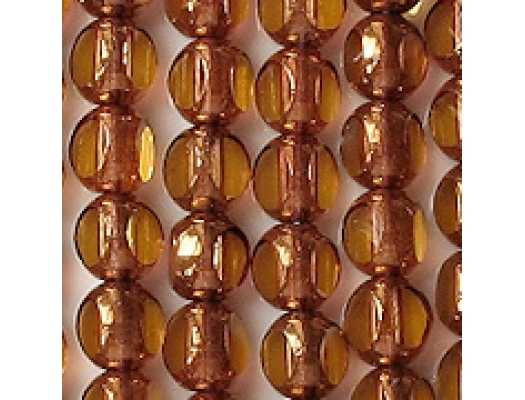 Colors/description: Translucent topaz (golden yellow) with a bronze coating on the round portions of the beads. 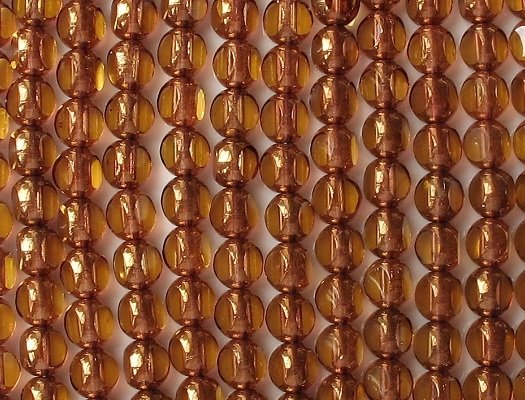 Defects: Some imperfections can be seen on the facets, but that is normal for Czech fire-polished beads. 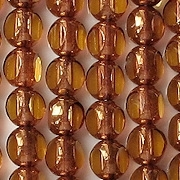 I have carried other 3-cut beads that had fewer defects in the facets than these beads have.. Comments: In low light, these beads can look very dull. They only look like they do in the picture in bright light. These are beads which I never transferred from the old shopping cart (which I abandoned in 2012). I finally got around to transferring them. The picture is fairly old.